The U.S. Open is 10 short days away and Titan Mercury Wrestling Club is ready to defend their national title. At the senior women’s 50 kg weight class, the women’s team is led by one veteran and two new senior level competitors, both with substantial world level experience. Titan Mercury’s Amy Fearnside, Allieda Martinez and Emily Shilson will all compete at 50 kg. Amy Fearnside, a 4X All American at Jamestown University, has been a staple TMWC lightweight for several season. She placed fifth at the U23 World Championships in 2018. Earlier this season Fearnside wrestled up a weight class at 53 kg, claiming bronze against fellow TMWC wrestler Cody Pfua. Allieda Martinez will be wrestling at her first senior level U.S. Open after helping her college win their first WCWA national title. A freshmen at Menlo college, Martinez won her first WCWA individual title in 2019. Prior to college, Martinez was a two time World medalist, placing 2ndand 3rdat the Cadet/ Junior level. Finally, 2X World finalist and World Champion, Emily Shilson will also make her senior level U.S. Open debut. Shilson has had a remarkable career so far and is coming off a bronze medal finish at the Dave Schultz memorial. 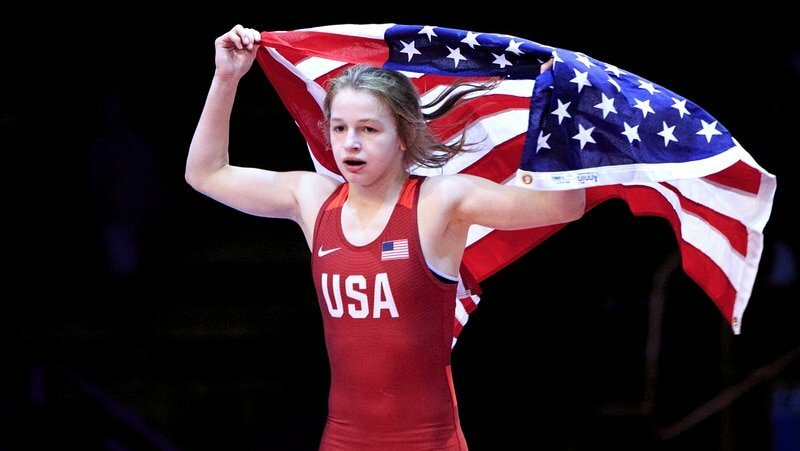 Shilson also became the first U.S. wrestler to win the Youth Olympic Games this past fall. Follow all the action with us @titan_mercury. and can be watched LIVE at www.flowrestling.org. Andrew F. Barth and Wayne Eric Boyd are the co- founders of the Titan Mercury Wrestling Club, which supports Senior-level athletes in men’s and women’s freestyle as well as supporting wrestling on the local level in California. Copyright 2018 TMWC. All rights reserved.